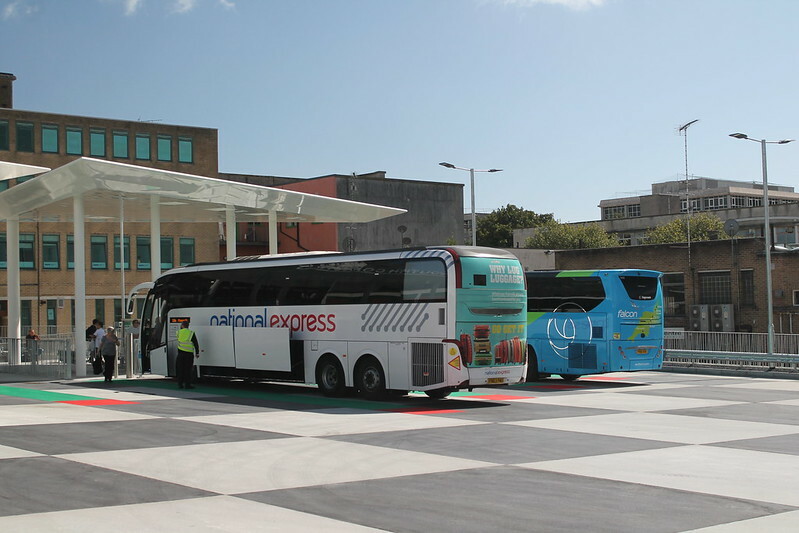 It has been open for less than a day, and already Plymouth's new £4million coach station has malfunctioned. 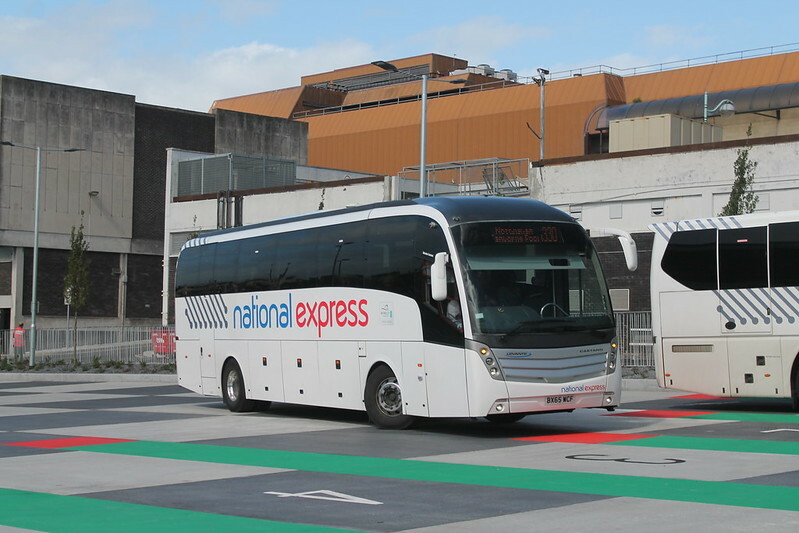 As two coaches left the Mayflower Street facility at 10am on Thursday, the gate failed to open – and members of staff had to step in to push it open manually. But the problems did not end there, as once the coach got through the gate it caused traffic to build up in Mayflower Street, with an in-coming coach forced to reverse back on to the road in order to let the first vehicle out. One man, from Plymstock, said he was so fed up of queuing to get into the station in order to buy tickets that he gave up and went to the railway station instead. Councillor Steve Rickets, cabinet member for transport said: "Unfortunately this morning the gates to the new coach station got stuck for a couple minutes. "The contractors are currently on site sorting out the problem and I'm pleased to say that no one's journey has been delayed. "It's disappointing we had this issue on the first day but sometimes technology does fail us." My friend Richard Smith has been down and taken a few photos. It does not seem ideal for photos! Hopefully any teething issues will be quickly sorted and things will settle down. I personally dont have a problem with the location of the site, but I do wish the canopies have been designed by someone who understands how wind and rain work and gone for something that actually provided shelter from the elements rather than just looks nice. You can guarantee that the architect never uses buses or coaches. 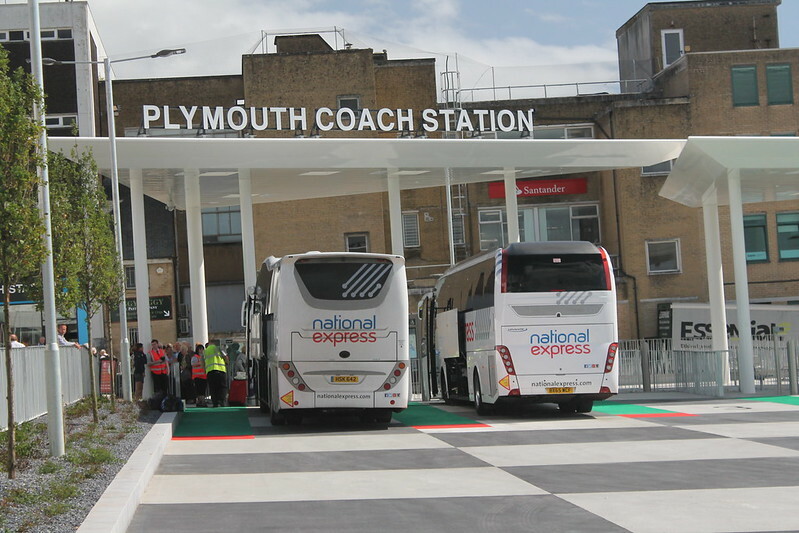 Shame that this Coach station has had no thought, unlike Exeter's Bus Station which will apparently have sliding doors to board the bus(a bit like an airline gate or some tube stations.) I thought the old LLoyds building was going to be a ticket office, or have the council been cheapskates on that too? So much for revitalising Plymouth, all they've done is invested millions in a coach station that won't work and give it 10 years, coaches will be using Royal Parade because the Brentonside site has been redeveloped! I would have rather seen the oldbus & coach station rebuilt and done up, that this piece of junk! If you look back at the original artists impression of the new coach station, you will notice that the boarding area appeared to be fully enclosed. The old bank building is the ticket office and the lower photo was taken from the doorway as you head towards the coaches. Mind the service road which you have to cross, there is no pedestrian crossing marked. Going back to the artist impression, what happened to the large overhead "Welcome to Plymouth" sign on the entrance road. I guess things changed in the interest of economy. 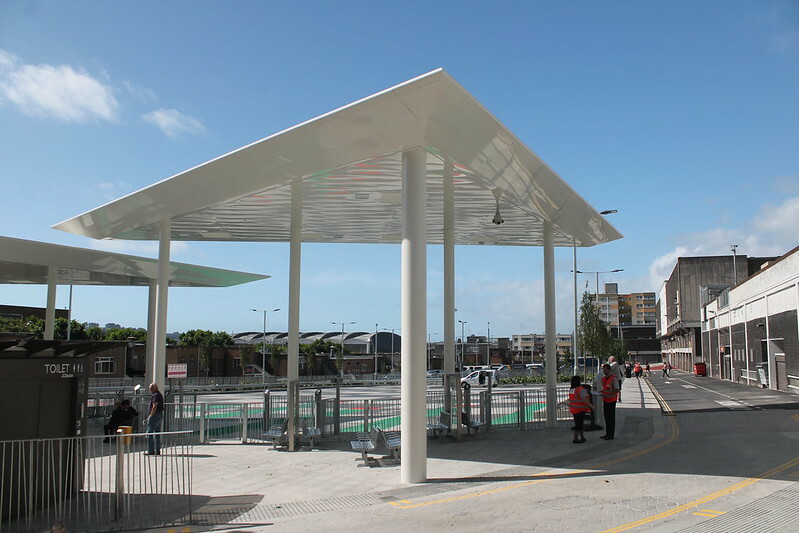 I personally don't think the new Plymouth coach station is anything to be proud of and has the appearance of being a temporary stop gap. Plymouth deserves better. Is Bretonside completely closed now? Where are the visiting tour coaches parking and where does the National Express coach that parks up overnight now go? Does the latter go to Milehouse as it's a Go-Ahead vehicle?